The EVs will be used for transport and outreach, not for pursuit. BMW of North America said Wednesday that it will supply the Los Angeles Police Department (LAPD) with 100 BMW i3 electric vehicles. Still, anyone hoping to see those oddly shaped vehicles in hot pursuit along Southern California's streets will have to wait. That's because the cars will be used to transport officers from one place to another, and for community outreach. They won't be used for chasing the bad guys. BMW beat out some other electric vehicles (BMW didn't mention who) in a field trial. The i3 gained points for its combination of drivetrain efficiency, connectability (for fleet management), and reliability. It also helped that the Bimmer has a short wheelbase and tight turning radius, making it easier to navigate the perpetually traffic-filled streets of Los Angeles. 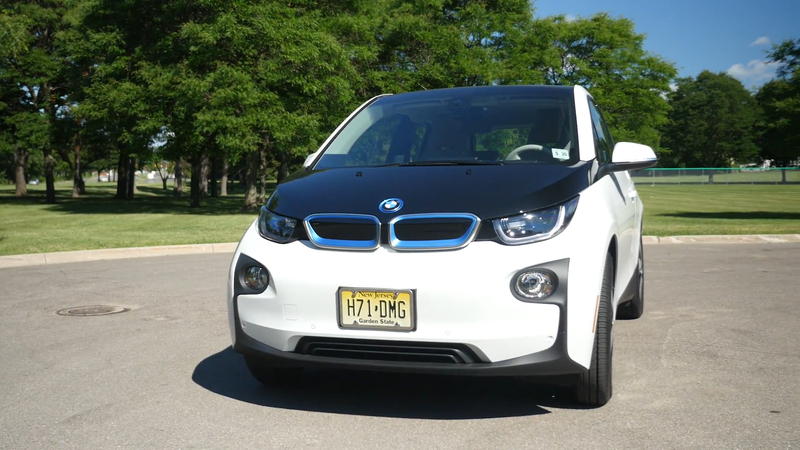 The i3 has a base price of $42,400, so the cars aren't exactly cheap. Still, 100 Level 2 chargers and four DC fast chargers will be supplied to the LAPD by Greenlots, and refueling costs will be low. The LAPD had been testing a couple of Tesla Model S electric sedans during the past year, though those were slated for high-pursuit use. Still, while BMW's nod doesn't necessarily mean Tesla is out, the LAPD has indicated that concerns over a possible power outage and resulting lack of ability to recharge the Teslas were probably going to stop the force from using the EVs. Los Angeles Mayor Eric Garcetti said last year that the city would eventually lease 160 electric vehicles which would be split among various city departments. Take a look at BMW's press release below. Los Angeles, CA – June 8, 2016... BMW of North America today announced that it has won its bid to supply the Los Angeles Police Department with 100 fully-electric BMW i3 vehicles for use in the department's transportation fleet. This announcement comes after a field trial during which a BMW i3 was evaluated alongside other EVs on the streets of Los Angeles as part of the LAPD's every day fleet. Ultimately, the BMW i3 was selected due to a combination of EPA rated best-in-class efficiency, reliability and state-of-the-art ConnectedDrive services, which can be used to support fleet management applications. BMW's extensive knowledge of charging infrastructure and the availability of a large network of BMW i centers for servicing the fleet in a convenient and cost effective way also played into the decision. "We should be thinking green in everything we do — and these new EVs show how local government can lead," said Mayor Garcetti. "Our sustainability plan pushes L.A. to speed adoption of greener practices and technologies, which also save money and resources." "The attributes of the BMW i3 position it to excel as the ideal vehicle for municipal organizations. The performance and technical capabilities, such as the BMW i3 's acceleration, and its ConnectedDrive integration, are perfectly suited to transform the future mobility of the Los Angeles Police Department while also reducing their carbon footprint," said Ludwig Willisch, President and CEO of BMW of North America. The BMW i3 police cars began hitting the streets of Los Angeles this spring badged with an LAPD insignia. As the department's non-emergency fleet vehicles, the BMW i3s will be used throughout the department as transportation vehicles for officers and in community outreach initiatives. BMW's software data system will integrate with the LAPD's fleet management system which will allow the department to electronically receive critical vehicle data needed to effectively maintain their fleet. BMW is also designing a web tool that will allow the department to track their fleet in near real-time, contributing to improved deployment, utilization, and the efficient charging of their fleet of BMW i3s. Greenlots, a global provider of open standards-based distributed energy resource solutions, will supply 100 Level 2 chargers and four DC fast chargers to LAPD. Due in large part to its compact size and use of light-weight Carbon Fiber Reinforced Plastic (CFRP) in its construction, the sustainable, fully-electric BMW i3 has a tight turning radius and the agility needed to navigating congested city streets. The BMW i3 is the first purpose-built electric production vehicle to be made primarily of Carbon Fiber Reinforced Plastic (CFRP). With 170 horsepower and 184 lb-ft of torque hybrid-synchronous electric motor, the fully electric BMW i3 is electrified by a 22-kWh lithium-ion battery, good for 80-100 miles of emission-free driving and has been rated the most fuel efficient EPA-certified vehicle by the U.S. Department of Energy. Agile and engaging to drive, the BMW i3 is ideally suited for dense urban areas. Every aspect of the BMW i3 has been conceived for sustainability. The carbon fiber used to create the i3 is produced using hydro-electric power. The BMW i production line in Leipzig, Germany draws its power from wind energy. BMW i is the BMW Group's forward-looking and sustainable brand dedicated to solving many of the mobility challenges faced by the world's most densely populated cities. The all-encompassing approach of BMW i includes the extensive use of recycled, renewable raw and naturally treated materials, alongside an extremely resource-efficient production method. BMW of North America, LLC has been present in the United States since 1975. Rolls-Royce Motor Cars NA, LLC began distributing vehicles in 2003. The BMW Group in the United States has grown to include marketing, sales, and financial service organizations for the BMW brand of motor vehicles, including motorcycles, the MINI brand, and the Rolls-Royce brand of Motor Cars; Designworks, a strategic design consultancy based in California; a technology office in Silicon Valley and various other operations throughout the country. BMW Manufacturing Co., LLC in South Carolina is part of BMW Group's global manufacturing network and is the exclusive manufacturing plant for all X5 and X3 Sports Activity Vehicles and X6 and X4 Sports Activity Coupes. The BMW Group sales organization is represented in the U.S. through networks of 341 BMW passenger car and BMW Sports Activity Vehicle centers, 153 BMW motorcycle retailers, 126 MINI passenger car dealers, and 36 Rolls-Royce Motor Car dealers. BMW (US) Holding Corp., the BMW Group's sales headquarters for North America, is located in Woodcliff Lake, New Jersey.